The West Chester University Marching Band in competition. West Chester University’s Wells School of Music announced Monday that the Incomparable Golden Marching Band is the recipient of the distinguished 2019 Sudler Trophy. Presented by the John Philip Sousa Foundation, the Sudler Trophy is known as the “Heisman Trophy of the collegiate band world.” It is awarded every other year to a college or university marching band which has demonstrated the highest musical standards and innovative marching routines, and which has made important contributions to the advancement of the performance standards of college marching bands over a number of years. 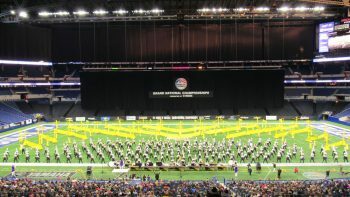 Since the award’s inception in 1982, West Chester’s marching band is the first from a Division II school to be named as a recipient. The Incomparable Golden Rams now join the ranks of esteemed marching bands from top Division I schools including Ohio State University, Penn State University, University of Notre Dame and many others. In all, 32 recipients have been honored with the Sudler Trophy, which was awarded annually from 1982 – 2007. A full list of recipients and more information on the award can be found here. 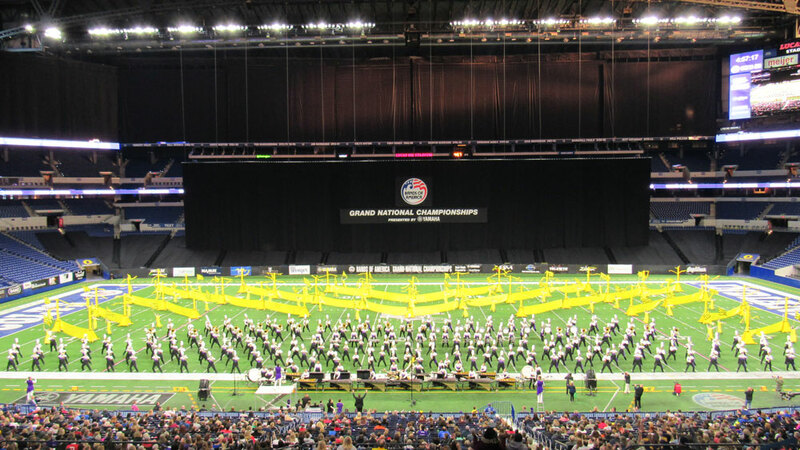 Last fall, the Incomparable Golden Rams were chosen to perform in exhibition at the Bands of America Grand National Championships in Indianapolis, where they performed in Lucas Oil Stadium in front of tens of thousands of spectators. Representatives from the Sousa Foundation and the Sudler Committee will travel to West Chester to present the Trophy on September 21, 2019, during a halftime presentation at a WCU home football game.